Can anyone tell me what is the best espresso machine on the cheaper end that's for espresso only? Baristas are like Rock Stars, except for the part about the money. Any type of water intrusion in your café can spell disaster for the health and safety of your business. The severity of the problem will determine your course of action. Here are some of the steps that you should take in order to tackle your more serious issues. A part of being in business is how well you manage your financial picture. You can’t continue to operate without a steady stream of revenue. Here are some of the techniques that you can use to help you manage your cafe’s finances. Everyone loves visiting a favorite café for snacks or meals. As much as the food, however, is the camaraderie and social environment that customers enjoy when patronizing a local eatery or coffeehouse. 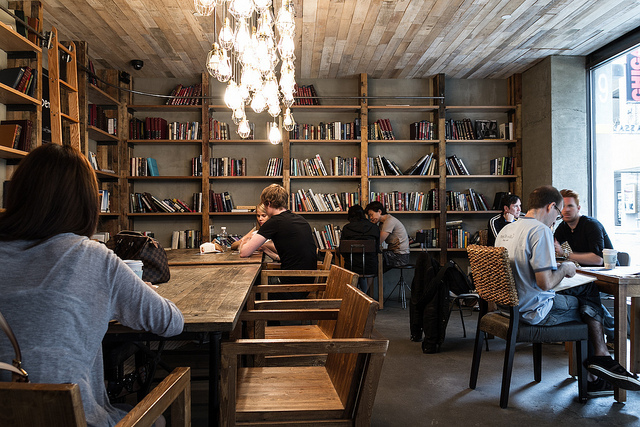 If you have recently launched a café and want to boost business, try the following tips to make your place the local hotspot. Your cafe is going to be a sanctuary of serenity and a cathedral of comfort to many of your customers. However, before your customers can experience these delightful sensations, you must first design your cafe to offer comfort all year round. Here are five tips for making the inside of your cafe comfortable for customers in all four seasons. A job as a barista can be terrific for social people who like to have fun. It’s also a position, however, that revolves around food quality. Baristas are around beverages and food items for hours on end. That’s the reason they need to emphasize the importance of sanitary work conditions. The opening of your new café will be filled with smiling faces, the smell of coffee, and possible malfunctions that will occur at the absolute worst time. Take a proactive step towards fixing these potential disasters by keeping the information of these five types of contractors by your side. Coffee is a brew that people all over the world enjoy, and any number of businesses have grown up around making and serving it. However, you’ll sometimes pay a steep price for the convenience of grabbing a steaming cup of java from one of these places. This guide will offer you some tips on how to brew great tasting coffee at home without spending a lot on it. Thank you, Barista Exchange community. Easter Egg Hunt on PT's website! My Romance with Lever Espresso machines. More than you ever wanted to know about three-way solenoids. Coffee Industry is an adventure...just like every drink you make!